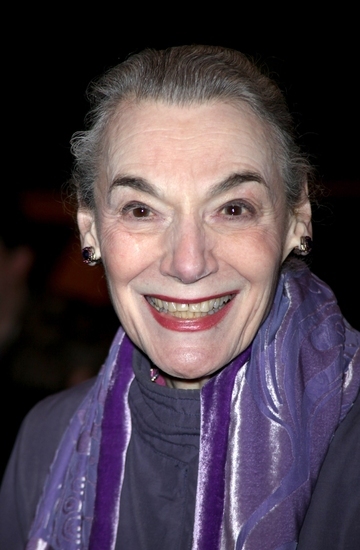 Congratulations to all of the winners at tonight’s Tony Awards, especially fellow “Adaumbelle’s Quest” participant Marian Seldes on her Special Tony Award for Lifetime Achievement in Theatre and to all my participants in “Memphis” (Chad Kimball, James Monroe Iglehart, Derrick Baskin, and LaQuet Sharnell)! 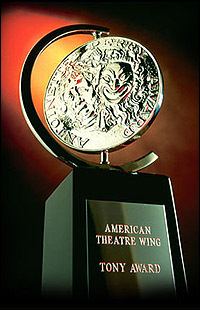 Stay with “Adaumbelle’s Quest” all night as we announce the winners of tonight’s Tony Award ceremony live as they happen! Be sure to catch Tony Award Winning Actress and fellow “Adaumbelle’s Quest” participant Marian Seldes along with Frances Sternhagen in a benefit reading of “Two Sisters Sitting On a Bench, Resting from All The Excitement” for Stageplays Theatre this Monday, January 11 at 7pm at The National Arts Club (15 Gramery Park South (at 20th Street). All seats are $100 and tax-deductible. Reservations can be made by emailing reservations@stageplaystheatre.com or calling (212) 252-2727. I had the pleasure of attending “Persistence of Memory,” presented by Cause Celebre/Part-Time Productions. Cause Celebre is a relatively new theatre company, founded in 2007 by Susan Charlotte (Founding Artistic Director of Food For Thought), which is devoted to promoting a deeper understanding of psychological, physical, and social issues. Each month a play related to a particular cause is presented using some of the top actors in the profession. The proceeds from these plays are given to a foundation connected with the cause. This month’s play is dedicated to the issue of memory. With humor to help ease the heaviness of the subject, “Persistence of Memory” consists of three one-acts dealing with different aspects of memory: “Mrs. Sorkin” written by Christopher Durang and starring theatre legend Marian Seldes tells the story of a woman who’d rather live in the memory of performance than with her own husband. “I Can’t Remember Anything” by Arthur Miller stars Joan Copeland and Bernie McInerney and chronicles the story of two friends who remember the past very differently, including one of them who can’t remember the past at all. “Tango Finish” by Susan Charlotte stars Tandy Cronyn and Rose Gregario with Michael Citriniti, Talia Castro-Pozo, and Lee Van Bradley deals with two women, one who is blocking out part of her past , while the other can’t remember cerebral thoughts, but muscular ones, like dance, never fade away. When put together, one teaches the other how to live again. Each act told a different, yet similar story about memory, memory loss, and the way it affects us and those close at hand. The play really hit home for me as I recalled watching my grandparents memory fade and seeing my grandparents battle living in the world their mind was creating for them against the lives they knew. It made think how sometimes they could remember something from their very distant past, but not the immediate past or present. The play made wonder when does a forgotten thought become more than a “senior moment?” Why can we remember a routine we performed countless times, but can’t even remember the name of the person we just met or in some cases our own? What happens when we live in a memory that is not the reality happening around us? How do our memory techniques change as we get older? Memory affects us all. Sometimes that is all we have left and other times it’s what we become. “Persistence of Memory” plays one more time, November 22 at Theatre Row’s Acorn Theatre on 42nd Street. If you can make it, it’s worth it!